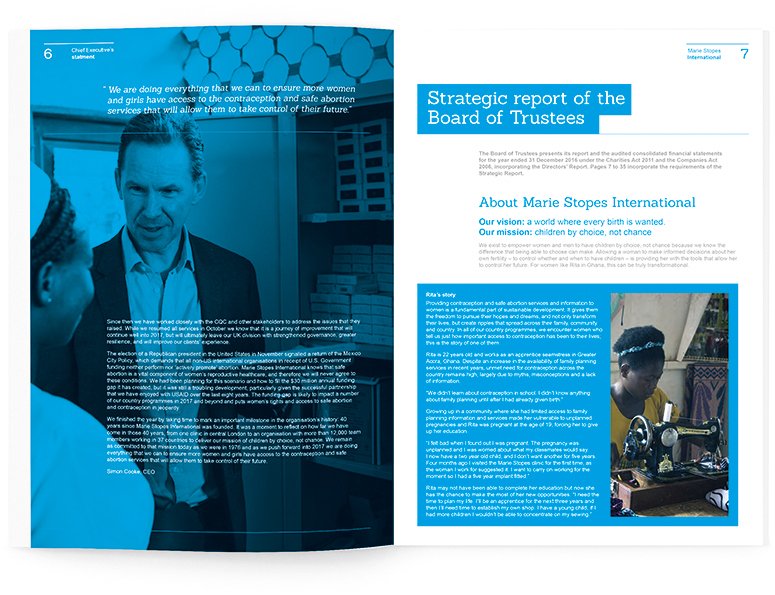 For the second year running Marie Stopes approached Progression to design their Annual Report and Accounts. 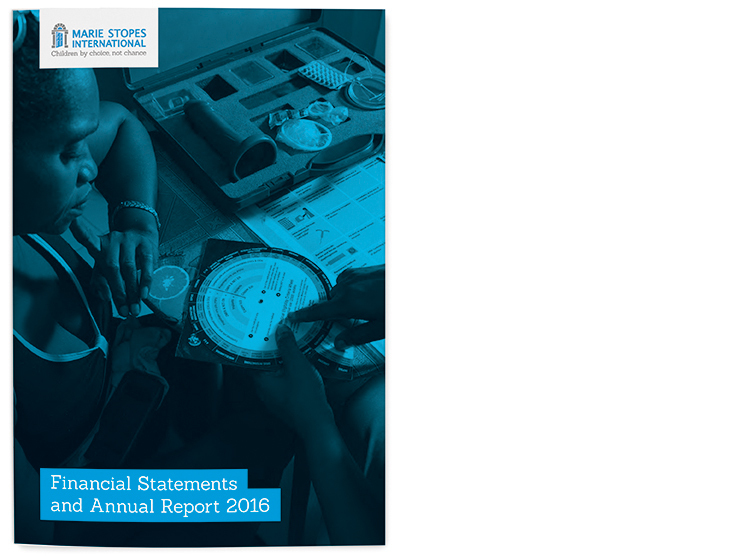 Working within their guidelines, we created this new annual report and accounts with full page background duotone images throughout, stylised graphs and tables to match, together with plenty of white space, keeping a clean look and feel. It was also important to the client to differentiate the copy and devise a hierarchy of importance throughout the report. Progression developed a typographical system that put headings, subheadings, paragraph breaks and footnotes in their own style to allow the reader to easily navigate the report. 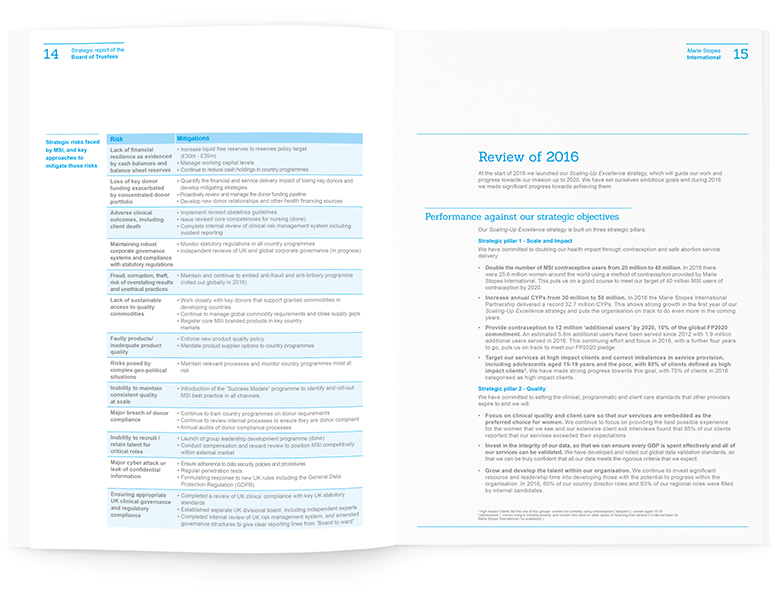 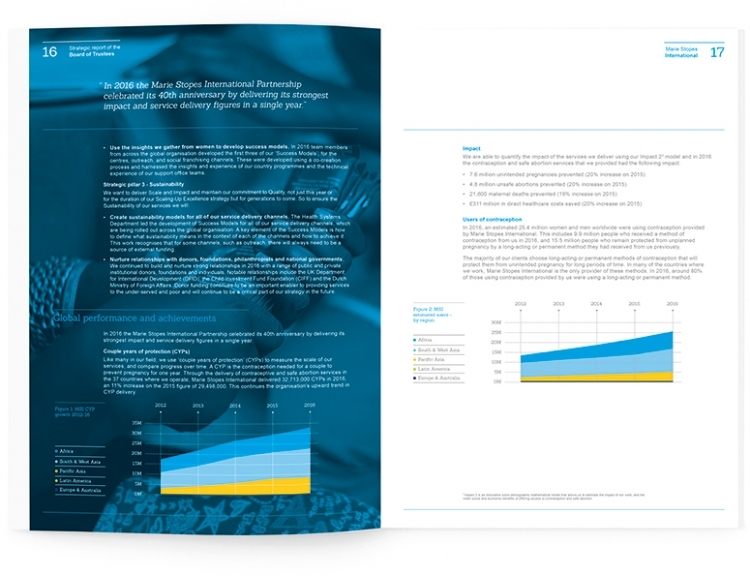 Progression Design have a wealth of experience within the 3rd (charity) sector, as well as Marie Stopes, Progression Design have also worked with Care UK, Concern Worldwide, and WaterAid in the past with their annual report and accounts.